Independent cinema on Regent Street near Oxford Circus. 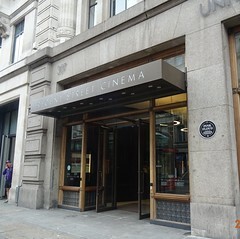 It was reopened by the University of Westminster in May 2015, and now shows classic, independent, and experimental films both digitally and on 16mm and 35mm film. Page last edited 2019-02-07 13:12:21 (version 1).